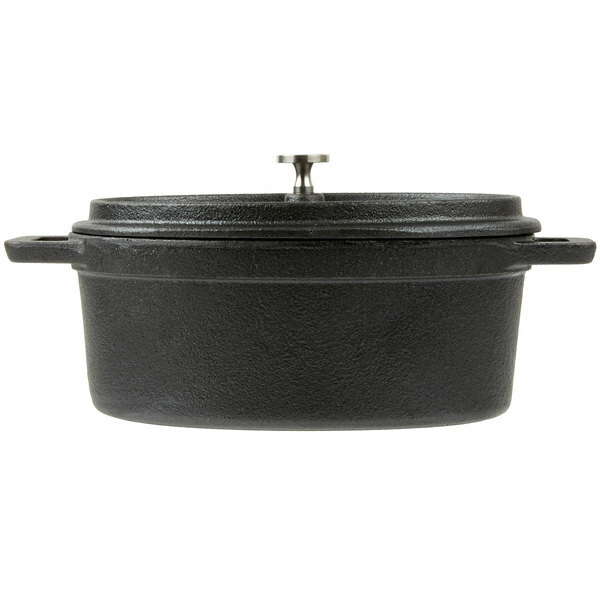 Give your meal service the ultimate presentation with this American Metalcraft CIPOV745 7" x 4 1/2" oval cast iron pot! 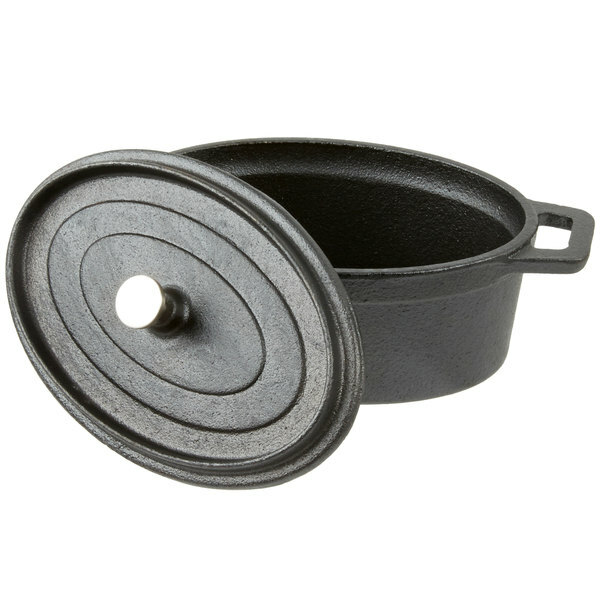 From pasta, casserole, and pot pie to tender meat, potatoes, and vegetables, this mini cast iron pot lets you bake a variety of foods to a satisfying tenderness. 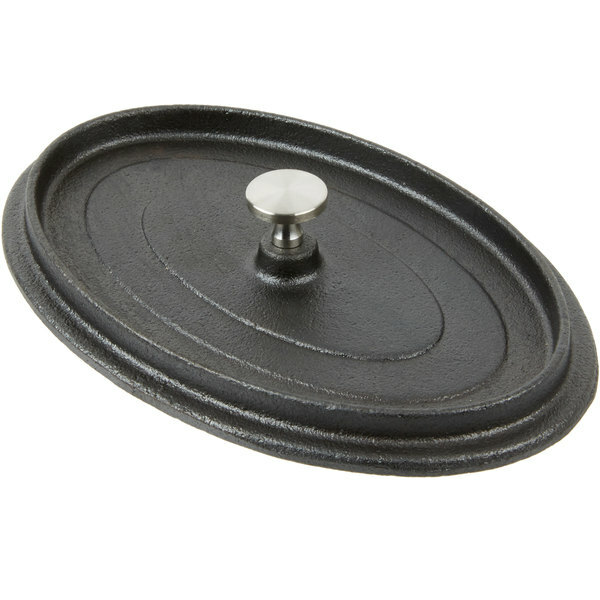 This piece in particular features a miniature size, making it perfect for serving individual portions in your restaurant, diner, bar, or cafe. 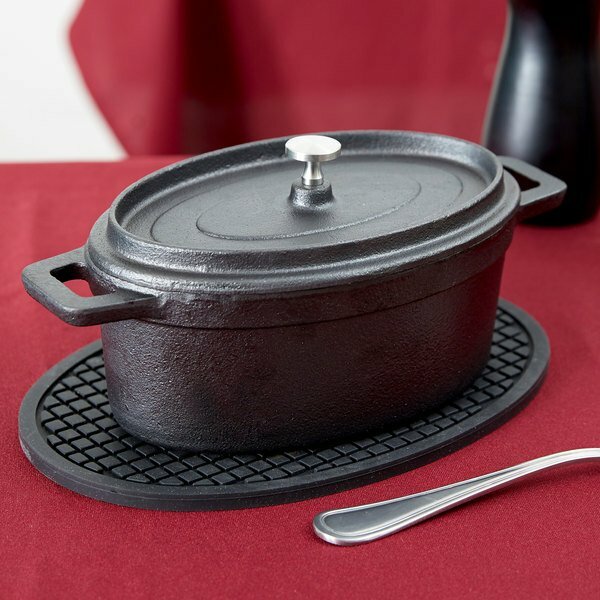 Great for kitchen to table service, cook and serve your featured menu items all in the same dish. 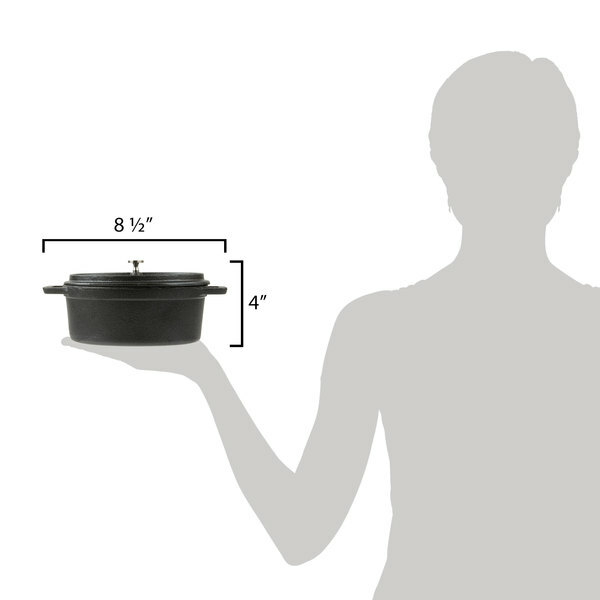 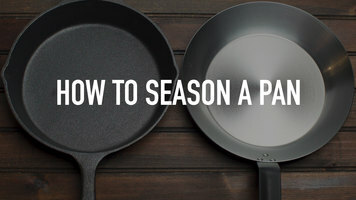 Two handles provide easy carrying and transport; and, its included lid seals in moisture, flavors, and aromas, maximizing the flavor of your culinary creation! 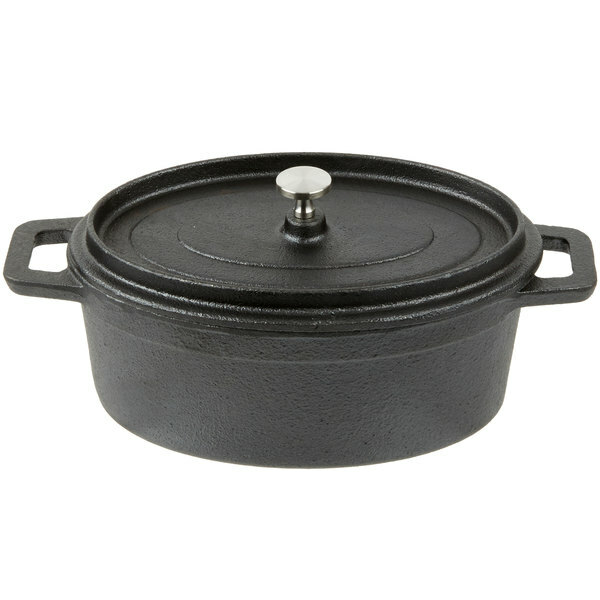 Made of cast iron, this pot is extremely durable and reliable, ensuring you a high-quality product that provides excellent heat conduction and retention. 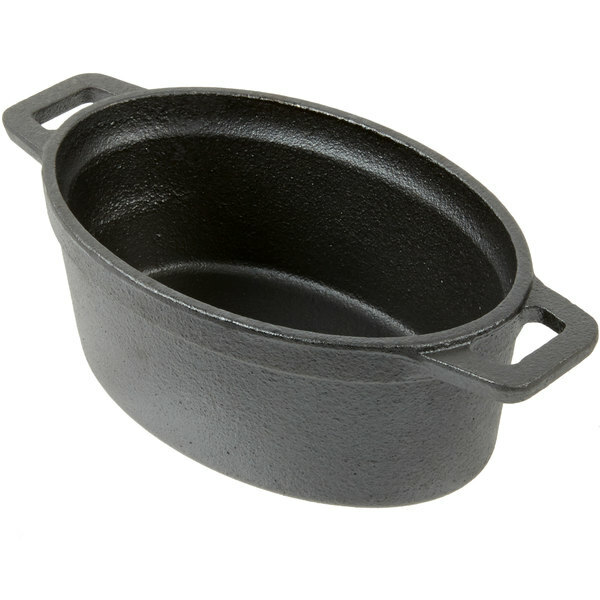 As cooking with cast iron becomes more popular, this American Metalcraft pot is sure to bring your establishment a, time-honored tradition. 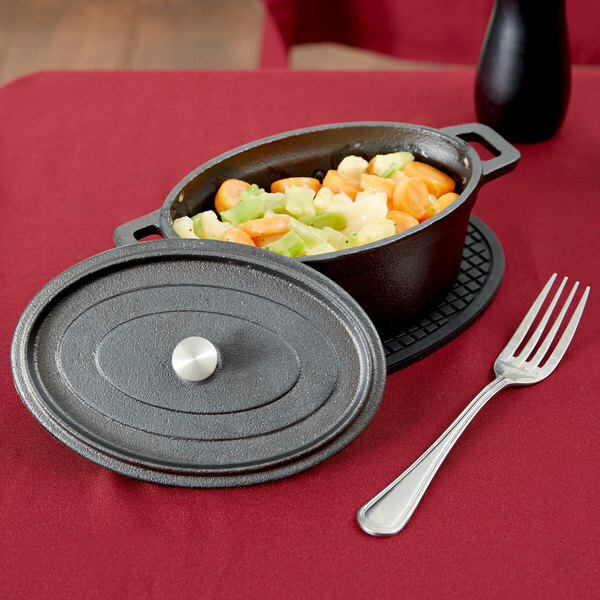 Give your entrees an enhanced taste and your food presentations a rustic appeal! 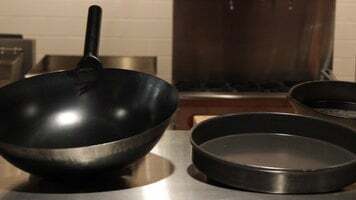 Length with Handles: 8 1/2"